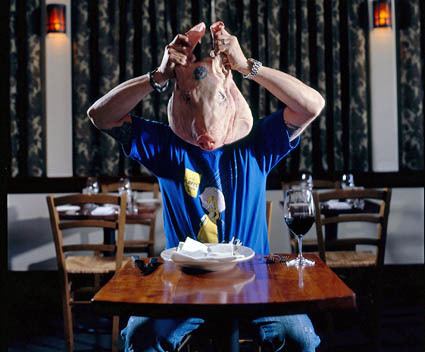 Master of all things offal and renowned chef Chris Consentino (Incanto, San Francisco) brings his signature "Head to Tail" dinner to New York City for the first time. Hosted by author and journalist Michael Ruhlman, the dinner will include an all-offal menu (including dishes such as beef heart tartar, venison liver crudo, and roasted lamb neck), wine pairing, and an "I Love Offal" commemorative button. The event will take place on Tuesday, March 4, from 6:30 p.m. to 9:30 p.m. at Astor Center (399 Lafayette Street). Tickets are $250/person (TFS readers can receive a 15% discount by using the promotional code TFS030408). 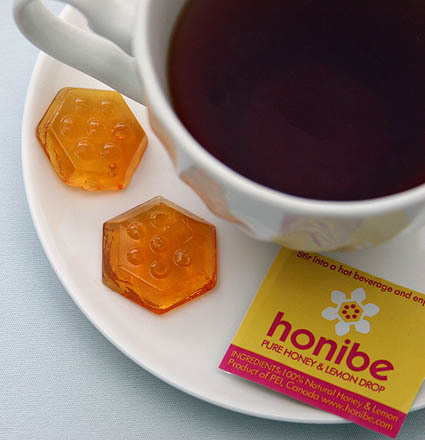 The Honibe Honey Drop works like a sugar cube for those who'd rather sweeten their tea with honey. John Rowe, creator of the drops, says he was inspired to create a "non-messy" honey after an unfortunate camping trip involving a broken jar of honey, a backpack, and a sticky mess. Because the single-serving drops won't stick like liquid honey, they might be particularly useful for tea drinkers on the go. According to Rowe, unlike other dried honey products on the market, his drops are made of 100% natural honey and contain no binding agents or additives such as sugar or corn syrup. $11.99 for a box of 20 (plain or flavored with lemon) at Honibe. 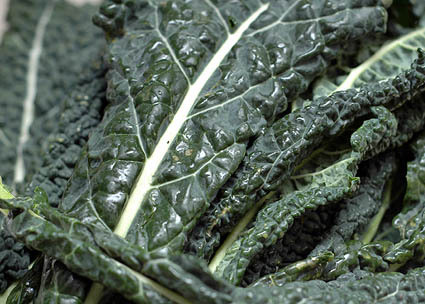 Learn to lose weight by making healthy food choices, including...eating butter, bacon, and beef? Forget industrial fats like margarine and corn oil and find out why it’s okay to eat fat, so long as it’s the real, traditional thing. Holistic health counselor Erica Mather, who trains her clients on the importance of a whole foods diet and helps them incorporate other lifestyle changes, will lead the discussion. A tasting of these good fats, like full fat milk, cheese, and yogurt will be included. The class will take place at Murray’s Cheese (254 Bleecker Street) on Tuesday, February 26th, from 6:30 p.m. to 8:00 p.m. $50/person. We've been intrigued lately by the proliferation of double-walled glassware that not only looks cool, but keeps your beverage cool -- whether you're drinking liqueur, beer, or wine. Bodum, which makes several lines of thermal mugs and glasses, has taken the technique to the next level by reinventing the classic French press coffee pot. 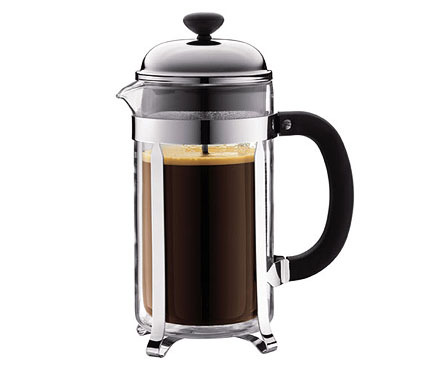 Bodum claims that its double-walled Chambord Coffee Maker (34 oz.) will keep just-pressed coffee hot for up to two hours. While this development may be heresy for coffee purists (who would tell you to decant your coffee and get it away from the grounds as soon as possible after steeping), the pot seems like a nifty (if pricey) innovation for lazy, slow-sipping French pressers everywhere. $89.95 at Bodum. 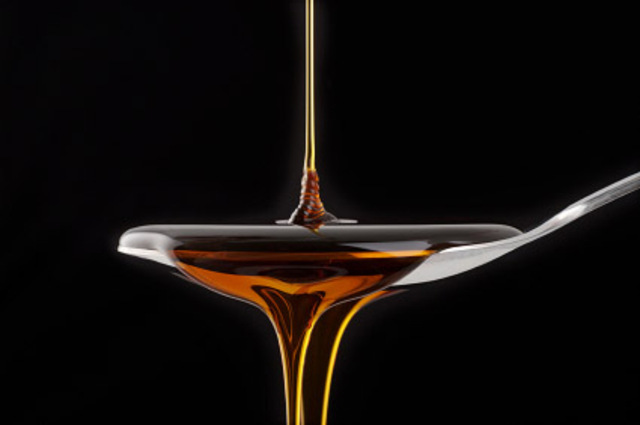 Wave Hill will present a demonstration on cooking with maple syrup, a tasting of maple-infused sweets, and a discussion of how maple syrup is made. Horticultural Interpreter Laurel Rimmer will also lead a walk to one of Wave Hill's venerable old sugar maple trees. The event will take place on Saturday, February 16, at 2:00 p.m. at the Wave Hill House, West 249th Street and Independence Avenue. Free with admission ($6/person; free before noon). 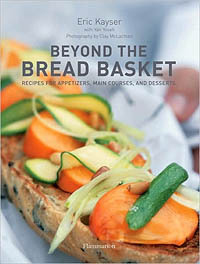 I've just gotten my hands on Beyond the Bread Basket, the new cookbook by master baker Eric Kayser. It contains more than 60 recipes for dishes that use bread as a "plate" (haute bread bowls), ingredient (stuffed baguettes and mille-feuille sandwiches), and as a seasoning (croutons and breadrumbs). There's even a recipe for a "toast tapenade" of ground bread and nuts (for eating with cheese or fruit). Recipes for sandwiches and desserts fill out the rest of the book. Kayser is a man who takes bread extremely seriously. After all, there's even a section on food and wine pairings for various types of bread (e.g., choose champagne and chocolate to pair with brioche). Luckily, for those intimidated by baking, nearly all of the recipes require bread that has already been baked (phew!). The only downside is that they invariably call for breads from Kayser's bakeries. While he suggests substitutions you might find locally, residents of Los Angeles, home to Kayser's BREADBAR, will certainly have a leg up. $23.07 at amazon.com. 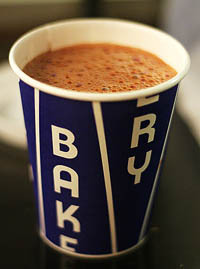 Celebrate Valentine's Day with an evening of all-you-can-drink hot chocolate (yes, that's right) at City Bakery (3 West 18th Street). The evening, which comes at the midpoint of City Bakery's annual month-long hot chocolate festival, will also feature food and drink from Saxelby Cheesemongers, Rick's Picks, Chocolat Moderne, Bottlerocket Wine & Spirits, and Tuthilltown Distillery. The event will take place on Thursday, Feburary 14, 7:30 p.m. to 10:00 p.m. $45/person (purchase tickets online). Remember when Mario Batali's Otto opened to oh so much fanfare, but the pizza was just so-so? The saving grace was the antipasti -- salumi, Italian cheeses, and small dishes of braised and lightly dressed vegetables -- and the much-praised (and imitated) olive oil gelato. I never had pizza again at Otto, but when I returned for the second time, things had improved. Pastas were now on the menu: For under $10, there was a selection of classics, like spaghetti carbonara, along with seasonally-inspired improvisations. One pasta I really liked was a simple combination of linguine, cabbage, garlic, and speck (the smoked cousin of prosciutto). The pitapocket reinvents the traditional flatbread as a small cloth wallet (5.5 inches in diameter) for holding anything from spare change to keys to an mp3 player. 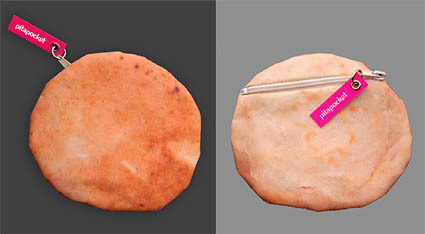 "Pita bread is our national bread here in Israel," writes Israeli designer Anat Safran, creator of the pouch. "Everybody eats it and can get even sentimental about it... I wanted to create a funny 'must have' product related to our Middle Eastern popular culture." $14 each, plus $3 shipping to the U.S. (falafel not included). To purchase, inquire at contact@infobag.co.il.